Member portrait: University of Bologna – European Bioplastics e.V. In each issue of the Bioplastics Bulletin, we present five facts about a member of European Bioplastics. 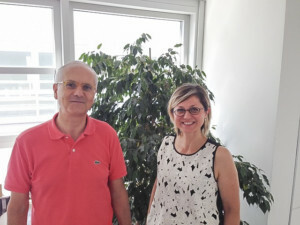 This month, Paola Fabbri, Associate Prof of Materials Science and Technology at University of Bologna, and Maurizio Fiorini, Associate Prof of Principles of Chemistry for Applied Technologies, shares some information on one of the oldest and leading universities in the field of bioeconomy and biotechnology research. Founded in 1088, Alma Mater Studiorum – Università di Bologna (UNIBO) is a large, multidisciplinary multicampus university with 32 Departments, about 85.000 students and 1.500 PhD candidates. One of the most active universities leading and participating in European research and academic cooperation projects, UNIBO has formed knowledge alliances with industry and public/private organizations. Strongly committed to research and innovation, with over 400 EU funded projects (FP7&H2020), in Horizon 2020, UNIBO is so far involved in 166 funded projects (42 as coordinator) with more than 63 ML. The field of bioplastics is widely explored within UNIBO, and the most different aspects are covered by high-scientific profiles supported by world-wide collaborations. The complete bioplastics value chain is approached at UNIBO, starting from the synthesis of new bio-based polymeric structures from renewable building blocks obtained by biomass or organic waste, to the tailoring of functional recipes to fulfil production needs on the industrial scale, finally to sustainability and environmental impact assessments. A complete set of modern techniques for polymers processing and plastics characterization is available and accessible also to partner companies. Unconventional manufacturing techniques such as 3D printing, electrospinning and nanofabrication are managed at the highest levels, and available for industrial collaborations too. UNIBO is also active in the eco-design of bioplastics -based solutions targeted at specific industrial needs. Development strategies include chemical modification of biopolymers, reactive extrusion, compounding with vegetable fibers, nanoparticles, nano-layered structures, for the most diverse applications in packaging, drug delivery, regenerative medicine, durable goods, among others. In this way UNIBO provides a 360-degree support to companies facing the potential insertion of bioplastics into their value chains and contributes to the replacement of traditional plastics with bio-based solutions. 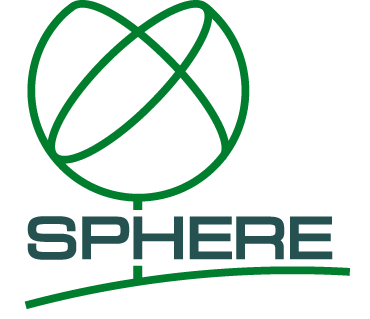 14th European Bioplastics Conference: Become a sponsor!